Sipchem has launched its innovation club ‘Sipchem Tech’ in Saudi Arabia with the aim of building the capabilities of the youth in various fields, including artificial intelligence (AI), programming, 3D printing and robotics. 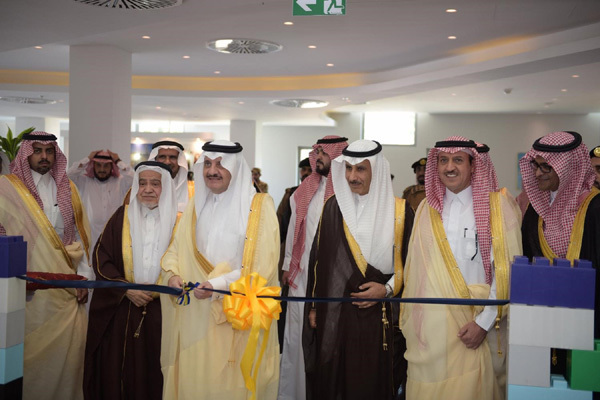 The Sipchem Tech, at the Sipchem Technology and Innovation Center ‘Manar’ located in Dhahran Technology Valley, was inaugurated by Prince Saud bin Nayef, Governor of the Eastern Province. During his tour, Prince Saud viewed the technical and laboratory equipment provided by Sipchem. Sipchem Tech, the first of its kind in the region, is a platform that combines education and technical innovation, said a statement from the company. Prince Saud also praised Sipchem's social responsibility programmes, hoping that such programmes will contribute to the development of a promising generation that will keep abreast of progress and development in the kingdom. More than 500 students, aged 8 to 12, are taking advantage of Sipchem Innovation Club, 120 of whom are undergoing intensive one-month programmes to build their potential in areas related to AI, programming, 3D printing, robotics and how to build initial designs to be a nucleus for future projects, said a statement. Sipchem chief executive officer Engineer Ahmed bin Abdul Aziz Al-Ohali, expressed his deep gratitude to Prince Saud bin Nayef for his continued support for all programmes that enrich development and innovation in the region. “Today, Sipchem Innovation Club combines supporting entrepreneurship in cooperation with BrightUp Platform for Education, a promising model for Saudi youth projects, and our ambition as a company to be an active part of creating opportunities and finding solutions to future challenges through engaging future generations," he added. Sipchem Innovation Club’s activities will continue until August 15, during which students will work on building models of viable projects. Sipchem achieved one of the award for best practices in corporate governance among companies listed in the Saudi Stock Exchange "Tadawul". The announcement was made during the 2nd Annual Conference for Corporate Governance organized by Al Faisal University in Riyadh.